I decided to go with the zine format for my photography works, but why? If you don’t know what is the zine, the zine is a self-published reading material usually produced in a small amount, small in size, fewer pages, and small-circulation. The regular form of a zine is, staple bind a few pieces of A4 papers, and fold them to make an A5 size booklet. A zine can be in a variety of formats, such as printed or hand-written text, comics, and photographs. The person who produces zine call themselves zinester. That quote struck me. Yes, I did it because I love doing it, the keyword “Love” is a very important element in zine making. Another thing that I love about the zine is Imperfection. Yes, you do not hear me wrong. The zine is no way close to perfection. The idea of making zine perfect is insane. Or I should say, the perfect zine is a zine that is so imperfect but you still like it. I tend to photograph something imperfect, the scratches on the street walls, tear pieces of posters on the walls, corpse of the bird on the floor, a breaking windscreen and a reflection of myself, the homeless man, abandoned houses etc, because I believe most of our memories are made up by imperfection things. We remembered clearly our failure in life, how hard the loved ones hurt us, the betray of a good friend. Imperfection has such impact on our lives and our memories, It meant to be remembered so that we will be careful when bad things return. I have drifted from the topic I know, so let us come back. Because most of the content of my photographs is that imperfection, I want it to be expressed in the imperfect coarse surface paper. It coped well with my grainy black and white photographs. It fits well in a zine. Yet another reason I love about the zine, is they are cheap and simple to produce. Don’t get me wrong that I like to do a lousy job. To me, I wanted to produce something right instead of something perfect. So that I can deliver to readers the exact emotions that hit me. The zine with a staple binding is cheap but it does give a reasonable lay-flat ‘quality’ to all of the pages. This is important to me because I love to arrange my photographs into a full bleed of crossing pages. The fold of two pages makes a good sense of space between the reader and the photograph. 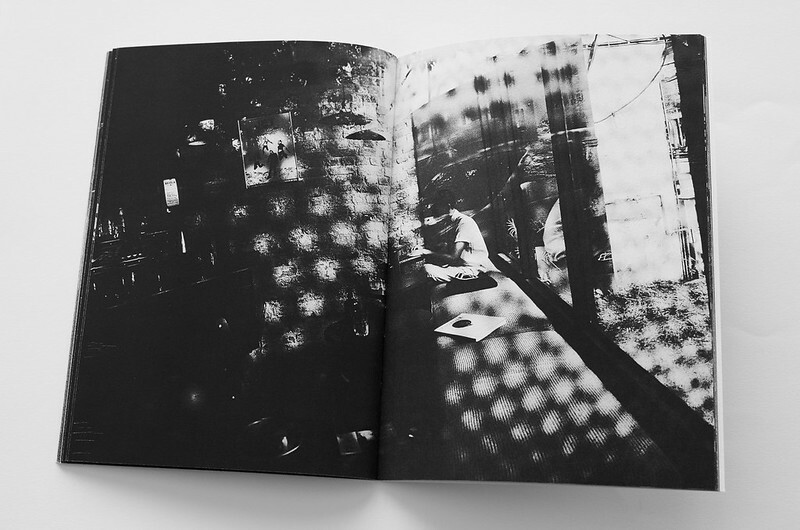 By opening a zine with two hands left and right, it forms a cubical space between readers and the content. In that space, the objects in the photograph may somehow visually stand out. If you get what I mean, you will agree with me, it becomes 3D-ish somehow. “Home Town” is my debut zine, to be specific, a photozine. It consists of two books, part I and part II. 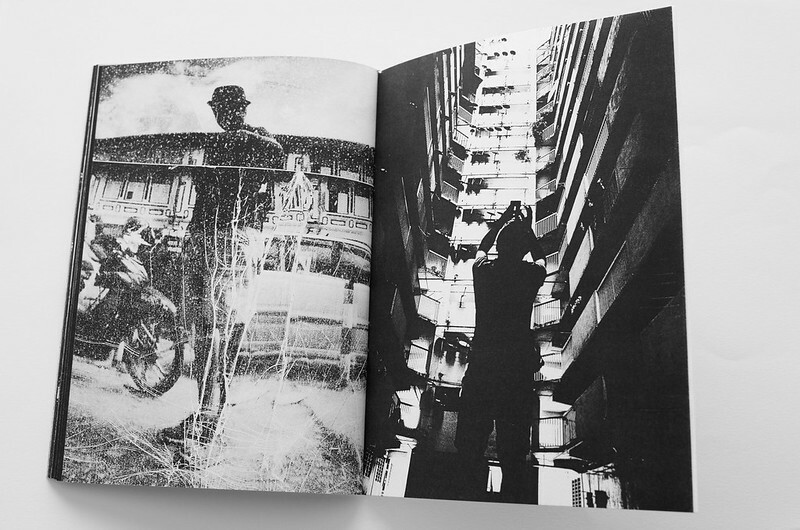 Each of them is 40 pages, full bleed of high contrast black and white photographs. 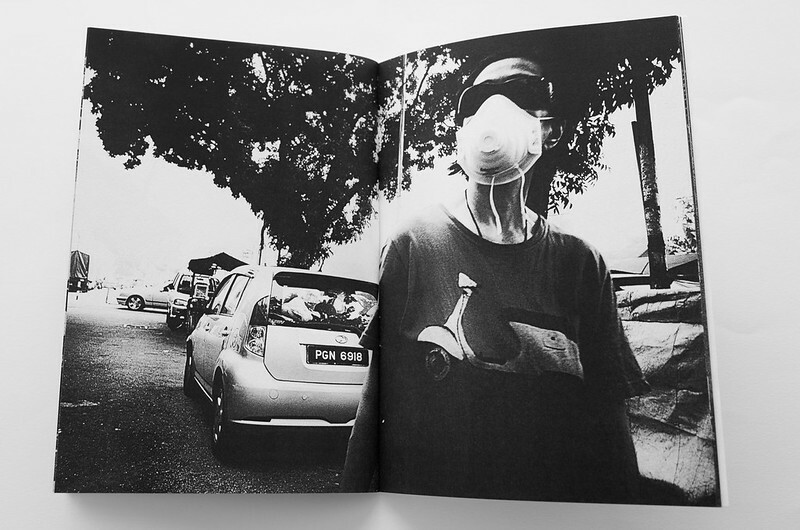 This zine bundles the shots taken during days and nights strolling streets in my hometown Penang, during the year 2014 to 2016. Note: This post was originally written in July 2018 at the blogspot.